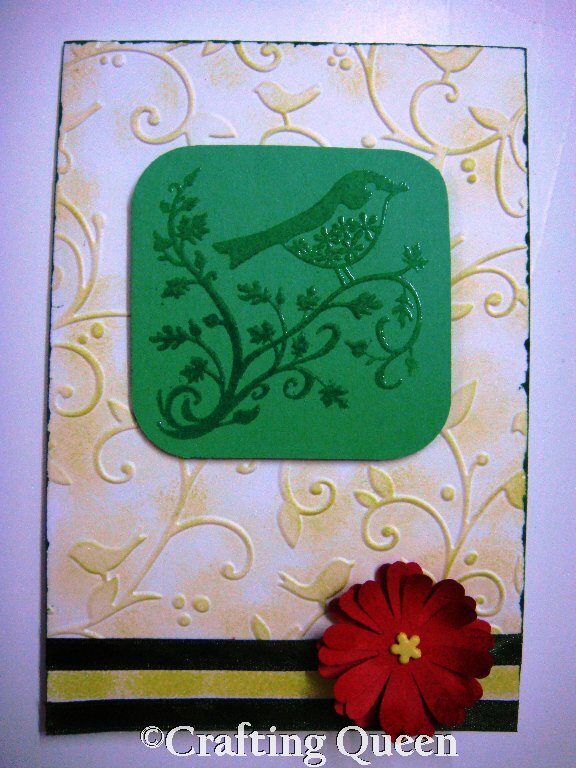 Very cute..Its so pretty..love that birdie stamp! Thanks for hopping in..it was a fun challenge, so I can stretch the timeline..
Its so pretty. Love the birdie stamp too. pretty stamp and a pretty flower!! love the birdie .....so cute!!! 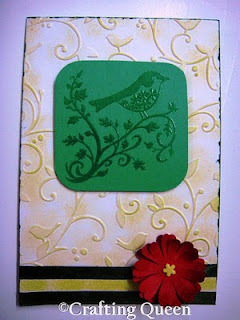 Love the birdy stamp, it's all very nice! oh the card is fab and i love the handmade flower...and thanks for the lovely comments u left in my blog i really appreciate it.